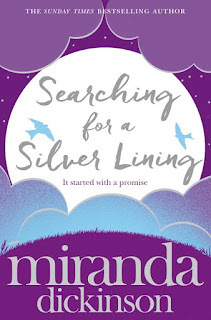 Today I'm delighted to be taking part with the blog tour for the lovely Miranda Dickinson as we celebrate her new novel, Search For A Silver Lining. 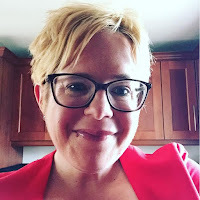 If you follow Miranda on social media you will know that she wanted her blog tour to be fun and interesting, with a collection of posts she has exclusively written linking to the book as opposed to the usual tours full of review. It began with a promise . . .
Matilda Bell is left heartbroken when she falls out with her beloved grandfather just before he dies. Haunted by regret, she makes a promise that will soon change everything . . . When spirited former singing star Reenie Silver enters her life, Mattie seizes the opportunity to make amends. Together, Mattie and Reenie embark on an incredible journey that will find lost friends, uncover secrets from the glamorous 1950s and put right a sixty-year wrong. Touchingly funny, warm and life-affirming, this is a sparkling story of second chances. 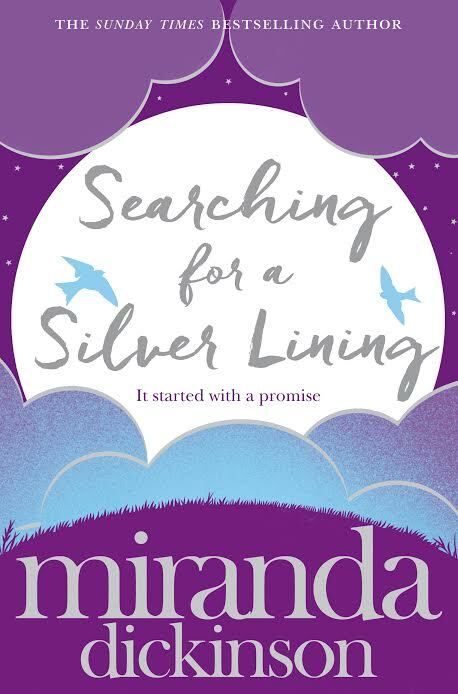 Perfect for fans of Cecelia Ahern, Searching for a Silver Lining will take you on a trip you'll never forget. The key theme in my eighth novel, Searching for a Silver Lining, is the power of second chances. As a confirmed optimist, I have always believed in looking for good in bad situations – hope, for me, is the best weapon we have in dark times. All through my life I have found silver linings and there are so many I could share. But perhaps the first time I was really aware of the power of hope was when I failed my A-levels. I’d managed to secure a place at a university in York, to study drama, film and television, beating over 1,500 applicants to be offered one of 35 places. I sat my exams confident that an exciting future awaited me. I’d told everyone where I was headed and had spent hours dreaming of all the amazing things the next chapter of my life could hold. And then, my results arrived. I had failed one A-level and my practical exam for drama had been severely marked by the visiting examiner. In that moment, everything fell apart. Everything I had hoped for, worked for, lost. In tears I called the university, hoping against hope that my successful audition would be enough to keep my place. They were very kind and understanding, but confirmed my worst fears. Thanks so much for reading this blog exclusive! For more, follow my Searching for a Silver Lining blog tour. I really hope you enjoy reading the story! Miranda Dickinson has always had a head full of stories. From an early age she dreamed of writing a book that would make the heady heights of Kingswinford Library and today she is a bestselling author. She began to write in earnest when a friend gave her The World's Slowest PC, and has subsequently written the bestselling novelsFairytale of New York, Welcome to My World, It Started With a Kiss, When I Fall in Love, Take A Look At Me Now,I'll Take New York and A Parcel for Anna Browne. Miranda lives with her husband Bob and daughter Flo in Dudley. 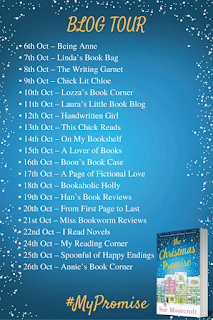 Thank you so much to Miranda and Pan MacMillan for allowing me to be part of this fabulous blog tour - Make sure you check out the other amazing bloggers for more insights into Search for a Silver Lining! I cannot tell you how eager I have been to read Eva's story since I was approved a NetGalley copy - Thank you Cara! - however I purposely put off reading until I knew I had a completely free day to delve in and delve in is what I did. 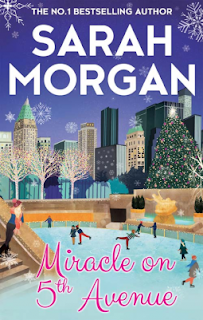 As with Paige's story in Sleepless in Manhattan and Frankie's in Sunset Over Central Park, I completely devoured Miracle on 5th Avenue in one sitting - who needs to eat or drink anyway, right?! Miracle on 5th Avenue was completely different to Sleepless in Manhattan and Sunset Over Central Park, in the fact that it featured Eva and Lucas and very little of the other characters, although there where references to Paige and Frankie, and their company Urban Genie - which is doing fabulously! Eva has been hired by one of the companies regular clients, Mitzy, with the task to decorate her grandson's 5th Ave apartment for the holiday season and to stock pile his freezer, whilst he is away in Vermont writing his next crime novel. Only Lucas isn't in Vermont. He's hiding out in his apartment and isn't overly impressed with Eva's arrival. Despite Eva's love for sunshine, happiness, good food and unicorns, I felt she really came into her own in this book. She had a fiesty side which I wasn't expecting - telling Lucas exactly how it is and not beating around the bush! This side of Eva intrigues Lucas and suddenly he starts to have an idea about characters and plots for his new crime book - one in which he is supposed to have completed in time for Christmas yet has nothing penned to paper. I'm not really a crime book fan but having the odd reference to murder and blood to tie in with Lucas' occupation, really worked well and gave a great balance to the story. As the book progresses, Eva starts to open up about how the loss of her Grandmother has effected her, Lucas has an equally sad story to tell and its clear that they both bring out the best in each other. Miracle on 5th Avenue is full of wonderful dialogue containing lots of raw and honest emotion and banter - the sexual tension between these two literally oozed off the pages! 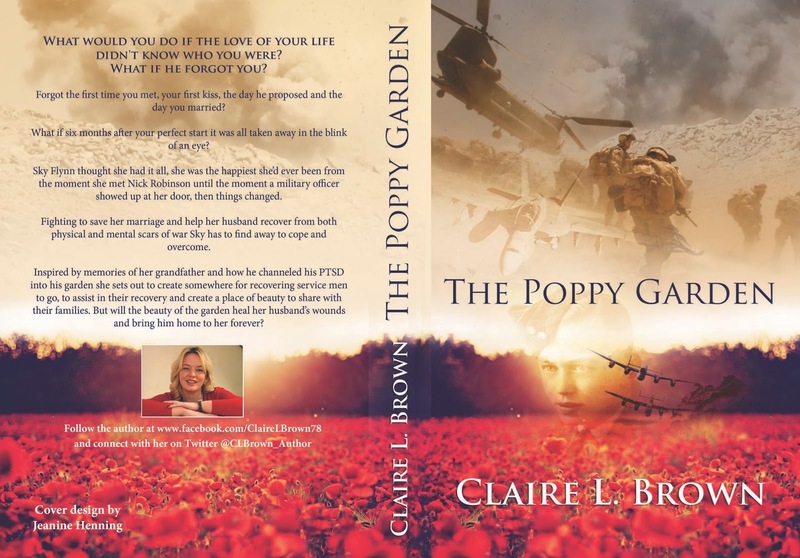 The book wasn't all smelling of roses - there's lots of moments when the pair are against each other, particularly when they start to get close but Lucas backs away refusing to love again - even towards the end as the last few pages were turned, I had to question whether Eva would get the happy outcome we all know she craves and deserves. Miracle on 5th Avenue is a delightful story about falling in love and taking chances, and even though Paige and Frankie play a small part in this book, the fundamental statement of good friendship shines through when it's needed. I've loved discovering Sarah Morgan with this From Manhattan With Love series, and am over the moon to discover that Sarah is writing a further three books set here - I do hope though that this gorgeous trio of character friends aren't forgotten and make some cameos as I feel there's much more to their stories. 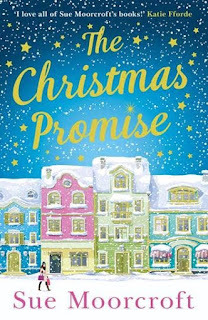 Its no secret that Holly Martin has become one of my favourite authors - you only have to read my recent review of the first book in this A Town Called Christmas series, Christmas Under A Cranberry Sky, in which you can access here - to know that I've fallen for Holly's festive fictional world. With its colourful Northern Lights, glistening snow, cosy wooden lodges and a wonderful cast of characters, it's no wonder that Holly Martin is having the success she's getting as I truly feel that her books are pure escapism for us romance genre lovers. Although Christmas Under A Starlit Sky is the second book from the series, it can completely be read as a standalone novel - although if you were to take my advise, I would read Cranberry Sky first as for me it gives you a better understanding of Juniper Island and works well as a nice intro to the books. Whereas in the first book the focus was primarily on one relationship - Gabe and Pip, with Christmas Under A Starlit Sky we are treated to two relationships - both cleverly crafted to entwine to make one complete story. 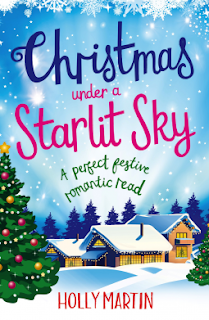 Christmas Under A Starlit Sky has four main characters - Neve, Oakley, Adam and Ivy - although there are plenty of references to the characters featured in Cranberry too. Neve and Oakley's story is the main thread here but I adored reading Adam and Ivy's alongside. Neve is the manager of the Stardust Lake Hotel and has recently split up with her movie star boyfriend Oakley. 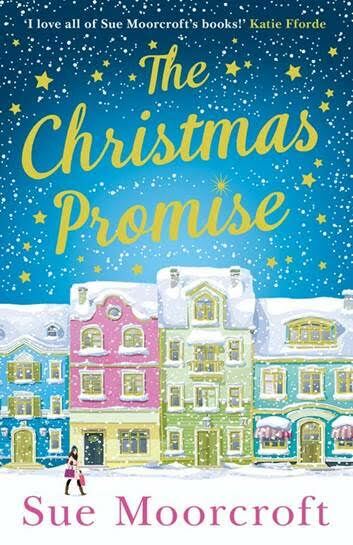 When he suddenly arrives on Juniper Island just prior to Christmas, Neve is completely confused as to his feelings for her and their future together, especially when he blows hot and cold in reaction to a secret she has been keeping from him. This on/off chemistry between the pair really kept the book interesting and the pages turning with its twist and turns. Adam has been brought to Juniper Island by Gabe to work as assistant manager with Neve gets the hotel up and running and to help guide it through their first Christmas and New Year period. Adam comes with his own heartbreak but throws himself into his new role of which is not short of challenges, and one of them first challenges is to locate Ivy Storm, one of the local villagers that has gone missing. 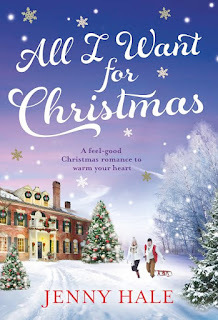 From the moment Adam finds Ivy and discovers that she's not the elderly lady her name suggest, you can feel their chemistry jumping from the pages - as I read on I was left wondering if their broken hearts could be mended and if they could learn to trust each other in order to be happy. Christmas Under A Starlit Sky is a story full of hopes and dreams, love and romance and of course that festive warmth you want from a Christmas story, so grab yourself a hot chocolate (marshmallows a must! ), a snuggly blanket and curl up with what is my favourite novel of the season so far! There is no question that Jenny Hale knows how to write those kind books that make you grin and make you cry but overall leaves you feeling warm and contented as you you turn the pages. All I Want For Christmas is no exception, Here Jenny treats us to a warm and humbling story about love, life and friendship. We are introduced to Leah Evans and her young daughter Sadie in the run up to Christmas. The relationship between these two characters is adorable right from the outset and it is clearly obvious that the recent passing of Leah's Nan is playing on their minds as they prepare to head back to Evergreen Hills - the old plantation that Nan transformed in to a glorious family home. The house is also set to be a massive part of Leah and Sadie's future as they had always planned to move and live there and carry on opening the plantation up to host events and weddings just as Nan had. Sadie's passion is gymnastics and there is also an amazing school to teach this near by. However, their well thought future gets turned upside down when Leah receives a letter stating that Nan had changed her Will prior to her passing and that the house was to be split between Leah and David Forester. Leah and David knew each other when they kids - Leah looked up to him and he looked after her but David and his family moved away and Leah hadn't thought much of him since. Now they are faced with the prospect of being joint home owners. Everything Leah has worked and planned for is destroyed when David says he wants to buy her out - over the coming chapters little things remind Leah of Nan and the memories that had at the plantation. All the while she is building up a way to tell Sadie they aren't moving, and trying to hold back the feelings she's starting to have for David. Alongside all of this there is a really strong and powerful element of friendship in the form of Leah's two friends Roz and Louise and their children Jo and Ethan respectively. 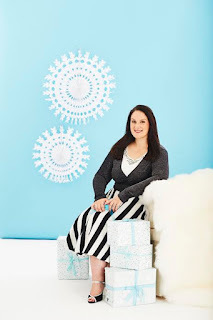 The Girls as they are affectionately known have been there as a little trio through thick and thin and they are Leah's rock when it comes to making a decision on Evergreen Hills. Although there is a small romantic element between Leah and David in this book - and Jenny is brilliant at her romantic stories - this book has much more to it. There is a deep line of moving on past grief and the importance of living life with no regrets. There is also a mysterious element as we learn quite early on that Nan sent a letter to someone named Samuel but we had to keep guessing until much later on. For me personally though, I felt that the relationship between Leah and David could have panned out a little better. They seemed to go from friends to something more without much in the middle and I missed they way Jenny usually writes making her characters flirt and fall in love. Overall though, I really enjoyed All I Want For Christmas - it was humbling, warm and cozy and had plenty of festive links and lots of snow! 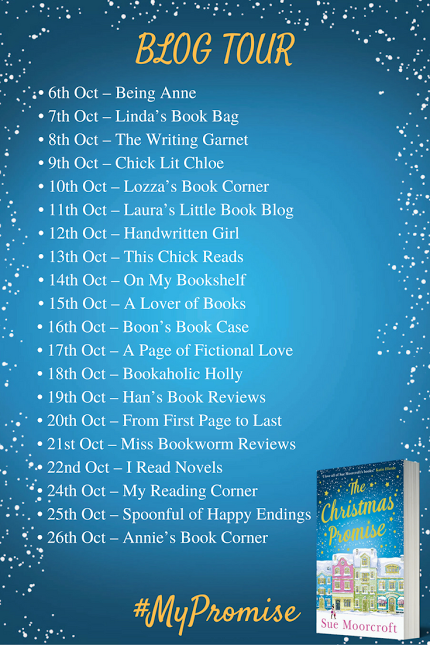 Today I'm delighted to be on the blog tour for The Christmas Promise by Sue Moorcroft and with thanks to Avon Books, I'm bringing you a little teaser from the book! Below you will find the cover, synopsis and extract... be sure to check out the other amazing bloggers on this tour too! ‘He’s over there’ – Izz was tall enough to see above people’s heads – ‘with Patrick and Jake. I can see some of the girls, too, over in the corner. Nobody else seems to have brought guests,’ she added uneasily, doing the looking-without-looking thing that was more obvious than staring. Ava gave her arm a reassuring pat. ‘But you were told you could. 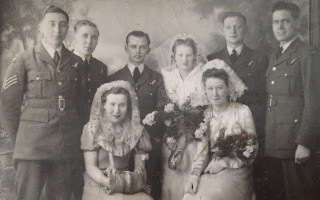 And I can always disappear off home if you think I’m in the way.’ She paused to check the angle of her black-feathered pillbox hat fixed to the coil of blonde plaits at one side of her head and made sure that the rest of her hair streamed smoothly over her shoulder. No point turning herself into a walking display of her work if she wasn’t meticulous with the effect. ‘He’ll talk to the others.’ Izz glanced back at the door, as if contemplating baling out before the evening began. Patrick had dark eyes, crisp curls and the kind of smile that was probably supposed to be a smoulder. Jake was more of a vague beamer. Ava hadn’t intended to be impressed by Sam Jermyn, the golden boy who’d handled PR for a high-profile foot­ball player and, at thirty-five, made enough money to invest in his own communications agency. But as Sam turned his gaze on her she couldn’t help but be aware of him. He was tall, even taller than Tod or Izz. His tawny hair fell across one eye and was just long enough to tuck behind his ears. In his dark suit and white shirt he looked as well put-together as an expensive car. ‘Likewise.’ She smiled sweetly. She wouldn’t embarrass her friends by telling Sam that Tod and Izz sometimes seemed to have no other topic of conversation. ‘Zinfandel rosé.’ Tod cheerfully ignored Ava’s exasper­ated stare. ‘It’s not PC to dismiss a woman’s perfectly valid wishes,’ Ava half-joked at Sam’s departing back as, having swiftly taken orders from Tod and Izz, he made towards the bar. 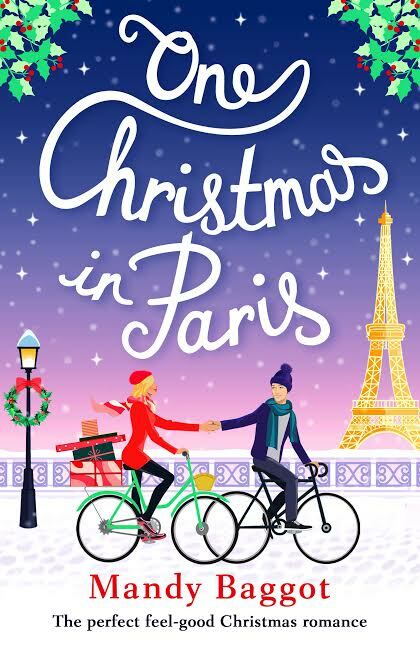 Today we are celebrating the publication of One Christmas In Paris - the new novel from Mandy Baggot, and with thanks to Bookouture, I have a little snippet of the book to tease you with! 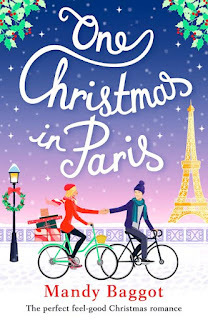 Debs is on a mission to make Ava smile again, and as they tour the Christmas markets, watch lamplight glittering on the river Seine, and eat their body weight inpain-au-chocolat, Ava remembers there’s more to life than men ... Until they cross paths with handsome, mysterious photographer Julien with his French accent and hazelnut eyes that seem to see right inside her. ‘I want them off... out...not in my hair!’ Ava gripped one foil between her fingers, pulling. ‘Well... I have to finish the tinting first.’ Sissy bit her lip.